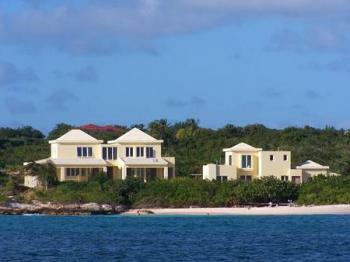 Beach Escape Villa is located in Blowing Point with views of St. Martin. 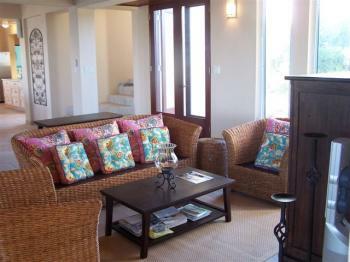 The main house is absolutely fantastic with large spacious living room, dining area and gourmet kitchen. All bedrooms have DVD players and TV. 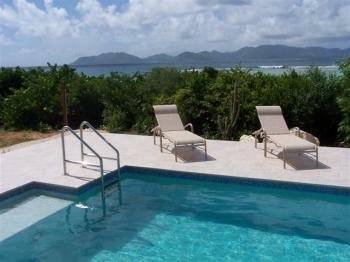 The main house also has two large masters with ensuites, one with a walk out deck with a fabulous views. 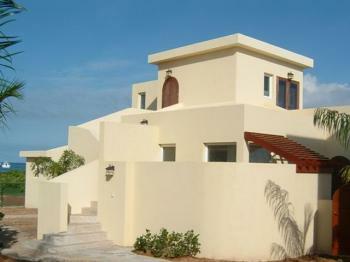 Building II has three perfect suites, each with a separate entrance, bedroom, kitchenette and bathroom. The two ground floor units have indoor living rooms and the upstairs suite has its own sun terrace. The main house bedrooms and all suites are air conditioned. The pool is about 14 ft x 34 ft, 5 feet deep, children's end approx 2 feet. 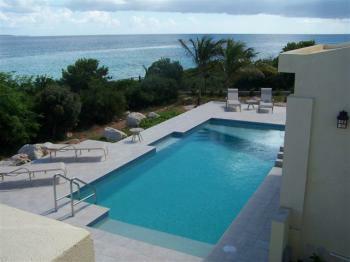 This villa can be rented as a two, three, four or five bedroom villa. 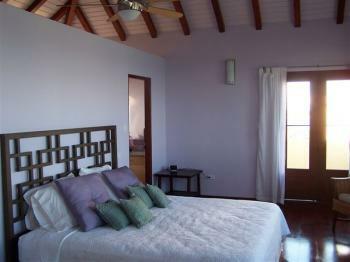 All bedrooms not required will be closed off for your stay as it is a private villa. As the second building has individual entrances to the suites we do not recommend it for children under 12. Separate Guest Suite with terrace, queen bed, bathroom ensuite with shower, A/C, TV/DVD, ceiling fan, and small kitchen (sink, small fridge, microwave, and coffeemaker). Separate Guest Suite with terrace, twin beds (King or 2 singles) bed, ensuite with shower, A/C, TV/DVD, ceiling fan, and small kitchen (sink, small fridge, microwave, and coffeemaker). Separate Guest Suite upstairs with terrace, Queen bed, ensuite with shower, air conditioning, TV/DVD, ceiling fan, and small kitchen (sink, small fridge, microwave, and coffeemaker). Policies: The rate is per day and includes government tax and service charge. 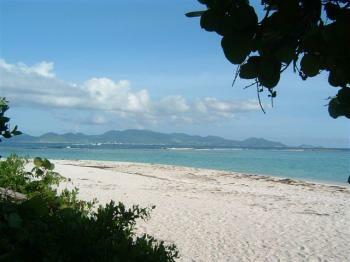 A 50% deposit is required within 2 weeks to secure the reservation. The balance is due 60 days prior to arrival. If cancelled prior to 60 days of arrival a full refund is provided. If cancelled within 60 days of arrival there is no refund. Check out time: 11 a.m.; Check in time: 3 p.m.